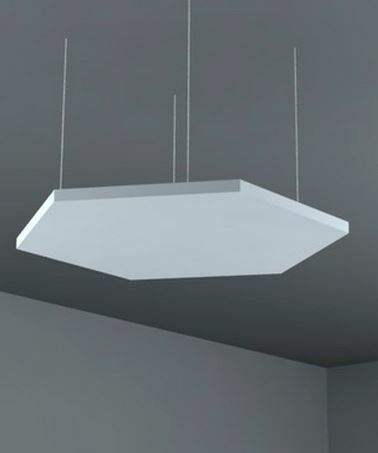 Can be used to improve acoustics when no acoustic ceiling is present. Good for use in offices, receptions and high reverberation environments. Fix in a choice of ways.